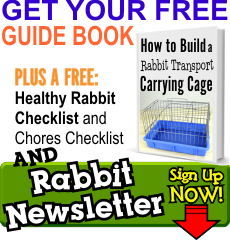 - Bananas: Cheap and great for your bunny! Plus, you get to eat the extra. - Pineapple: BONUS – Pineapples have enzymes that can help break down hairballs so this is an especially great treat for rabbits with wool fur or when your rabbit is shedding. - Timothy Hay or Bermuda Grass: High in fiber and nutrients. - Compressed Mini Hay Bales: Less messy than lose hay but still just as good for your bunny. 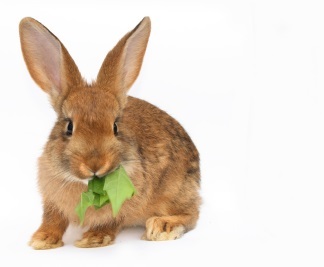 Avoid feeding your rabbits anything that is a green leafy vegetable (like lettuce) because it can cause bloating and diarrhea. Also, avoid giving them celery or anything super fibrous. Have you seen what happens to your garbage disposal when you try to put celery down it and the blade gets bound up from all the strings in the stocks? Imagine your rabbits belly doing the same thing. 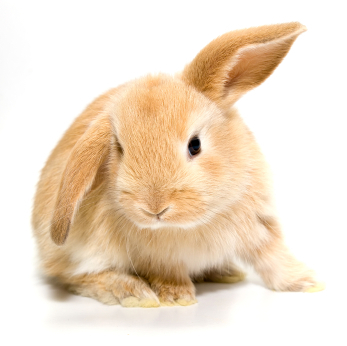 Remember that treats should be an occasional supplement to a healthy pellet-based diet, find out more on our “what to feed your rabbit” page and make sure you’re not over feeding your rabbit (no fat bunnies, its not good for their health).